The Hadejia-Nguru wetland was once a large green smudge on the edge of the Sahara in north-east Nigeria. 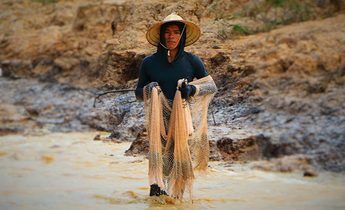 More than 1.5 million people lived by fishing its waters, grazing their cattle on its wet pastures, and irrigating their crops from its complex network of natural channels and lakes. Then, in the 1990s, the Nigerian government completed two dams that together captured 80% of the water that flowed into the wetland. The aim was to provide water for Kano, the biggest city in northern Nigeria. But the two dams dried up four-fifths of the wetland, destroying its natural bounty and the way of life that went with it. Today, many of the people who lost their livelihoods have either headed for Kano, joined the Islamic terrorist group Boko Haram that is terrorising north-east Nigeria – or paid human-smugglers to take them to Europe. For the past three years, Europe has been convulsed by a crisis of migrants, some from Syria and the war-torn Middle East, but also hundreds of thousands coming from the arid Sahel region of Africa, including Nigeria, Mali, and Senegal. They are fleeing poverty and social breakdown caused by insurgent groups such as Boko Haram. But environmentalists and others in the region say that behind this social chaos lies serious water mismanagement in the drought-prone region. Big dams intended to bring economic development to the Sahel are having the opposite effect. By blocking rivers, they are drying out lakes, river floodplains, and wetlands on which many of the poorest in the region depend. The end result has been to push more and more young people to risk their lives to leave the region. The Manantali Dam is estimated to have caused the loss of 90% of fisheries and up to 618,000 acres previously covered by water. Last year, I travelled with Wetlands International, a Dutch-based environmental non-governmental organisation, along the valley of the River Senegal, which forms the border between Senegal and Mauritania. Farmers, herders, and fishermen told of their battles against the ecological breakdown that has followed the building of the Manantali Dam, which is located upstream in Mali and was completed in 1987. The dam holds back a large part of the river’s seasonal flood flow to generate hydroelectricity for cities and provide irrigation water for some farmers. But there have been more losers than winners. “The migrants know the boats [travelling to Europe] are dangerous, but they have a determination to go and find a better life,” said Oumar Cire Ly, deputy chief of neighbouring Donaye village, which has also seen an exodus of its young people. Farmers once planted their crops in the wet soils as the waters receded. Pastoralists grazed their animals where forests and wildlife flourished. 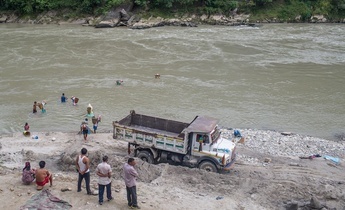 But the dam and its related projects are estimated to have resulted in the loss of 90% of the fisheries and up to 618,000 acres of fields that were previously covered by water from the rising river during the wet season, a system of natural irrigation known as flood-recession agriculture. This is clearly at odds with the organisation’s mandate to “ensure food security for all people within the river basin and region.” But Amadou Lamine Ndiaye, the OMVS’s director of environment and sustainable development, told me his agency regarded wetlands such as river floodplains primarily as a source of revenue for tourists, rather than as a lifeline for rural communities. As many as a million Nigerians have lost livelihoods because of dams that once fed a wetland that flowed into Lake Chad. Worse still is the crisis affecting the region around Lake Chad, which until half a century ago was Africa’s fourth largest lake, straddling the border between Nigeria, Niger, Chad, and Cameroon. The lake has lost more than 90% of its surface area since then. Initially, this was largely due to persistent droughts in the Sahel that often dried up the rivers supplying it with water. Since 2002, rainfall has improved markedly, but Lake Chad has not recovered. That is because of dams on the rivers flowing into the lake from the wetter south, mainly in Cameroon and Nigeria. The Maga Dam in Cameroon has diverted 70% of the flow of the Logone river to rice farms. This has both dried up part of the floodplain pastures that once supported 130,000 people, and dramatically reduced inflow to Lake Chad. In northern Nigeria, up to one million people have lost livelihoods because of dams on the River Yobe that once fed the Hadejia-Nguru wetland and flowed on into Lake Chad. In both cases, says Edward Barbier, an environmental economist at Colorado State University, the dams have had an overall negative effect on local economies, as losses to fishermen, pastoralists, and others exceeded gains from irrigation agriculture. A Nigerian government audit of the lake basin in 2015 agreed. It concluded that “uncoordinated upstream water impounding and withdrawal” were among factors that had “created high competition for scarce water, resulting into [sic] conflicts and forced migration.” More than 2.6 million people have left the Lake Chad region since mid-2013, according to the International Organization for Migration. At their greatest extent, wetlands cover one-tenth of the Sahel, the arid region stretching for 3,400 miles across northern Africa, immediately south of the Sahara desert. 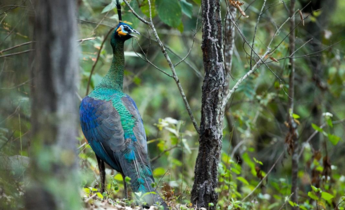 They are wildlife havens, especially notable for their birdlife. 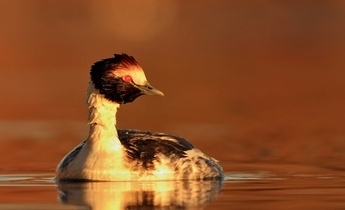 The Inner Niger Delta in Mali, for instance, is one of the world’s most important seasonal stops for migrating birds, hosting about four million waterbirds from Europe each winter. In addition, these wetlands are a source of sustenance for the region’s poor and the main sources of the region’s economic productivity outside the short wet season from June to September. Dried-up wetlands are often blamed on climate change when the real cause often is more human interference in river flows. Yet the decline of the wetlands and the resulting social and economic consequences remains a largely untold story. That is partly because dried-up wetlands are routinely, and often incorrectly, blamed on climate change, when the real cause is often more direct human interference in river flows. 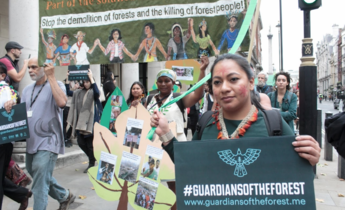 It is also partly because many development agencies still mostly think of dams as infrastructure development that furthers economic activity and wealth – and partly because many environmental groups concentrate on the ecological impacts of dried wetlands, while ignoring the human consequences. In this climate of ignorance, more wetlands are under threat. The next victim is likely to be the Inner Niger Delta, a wetland in northern Mali that covers an area the size of Belgium. The delta forms where West Africa’s largest river, the Niger, spreads out across flat desert near the ancient city of Timbuktu. The delta is a magnet for migrating European waterbirds. It is also currently one of the most productive areas in one of the world’s poorest countries. It provides 80% of Mali’s fish and pasture for 60% of the country’s cattle, and it delivers 8% of Mali’s GDP and sustains two million people, 14% of the population, says Dutch hydrologist Leo Zwarts. 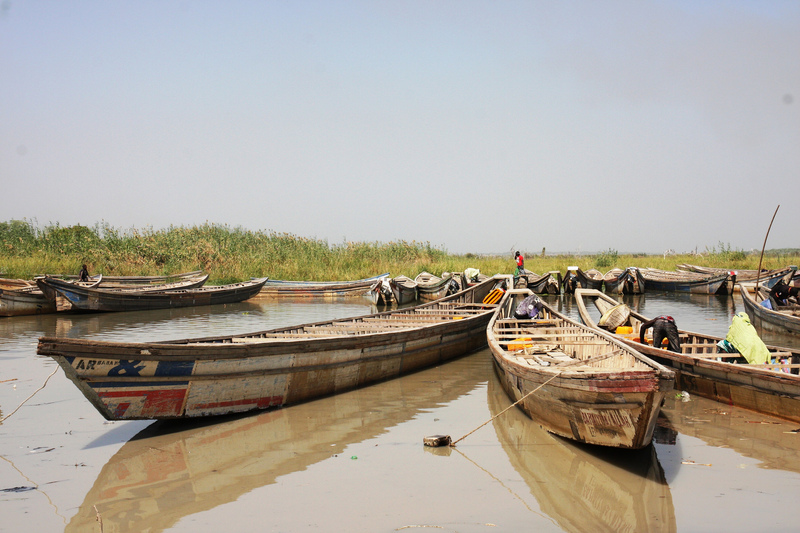 Its fish are exported across West Africa from Mopti, a market town on the shores of the delta. 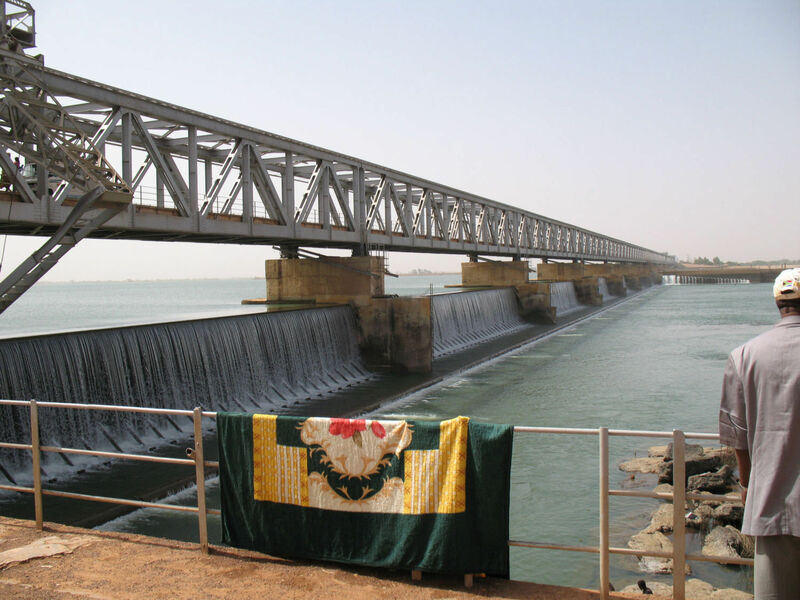 In recent years the Mali government has been diverting water from the River Niger at the Markala barrage just upstream of the delta, to irrigate desert fields of thirsty crops such as rice and cotton. These diversions have cut the area of delta flooded annually by up to 7%, says Zwarts, causing declines in forests, fisheries, and grazing grasses. Some people have left the delta as a result, though it is unclear whether they have been among the Malians regularly reported to be in migrant boats heading from Libya to Italy. But this trickle of people from the delta could soon become a flood. 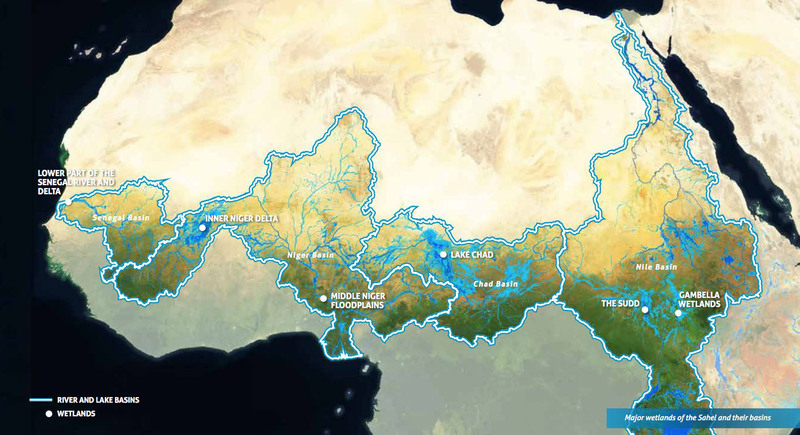 In July this year, Mali’s upstream neighbour, Guinea, announced the go-ahead for Chinese firms to build a giant new hydroelectric dam, the Fomi Dam, in the river’s headwaters. Construction could begin as soon as December. 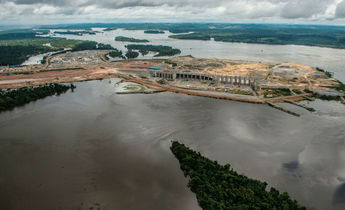 The Fomi Dam’s operation will replace the annual flood pulse that sustains the wetland’s fecundity with a more regular flow that the Mali government intends to tap for a long-planned tripling of its irrigation along the river. Wetlands International estimates that the combined impact of the dam and irrigation schemes could cut fish catches and pastures in the delta by 30%. “Less water flowing into the delta means a lower flood level and a smaller flood extent”, says Karounga Keïta of Wetlands International in Mali. “This will have a direct impact on food production, including fish, livestock, and floating rice.” He fears that the inevitable outcome will be further human migrations from the wetland. The links in the chain from water management through wetland health to social breakdown and international migration are complex. 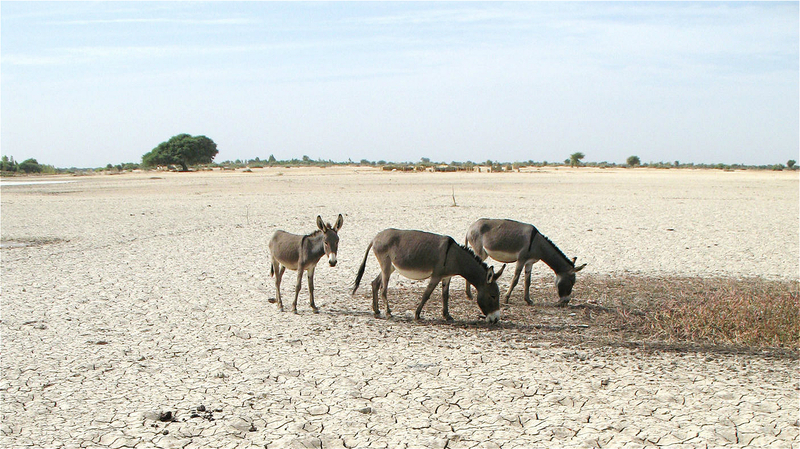 Wetland loss is certainly not the only reason for the human exodus from the Sahel. And migration is a long-standing coping strategy for people living in a region of extreme climate variability. But the parlous state of the wetlands of the Sahel is changing the region. In the past, wetlands were refuges in times of drought or conflict. They were safe, and the water persisted even in the worst droughts. But today, with their waters diminished, these wetlands have become sources of outmigration. 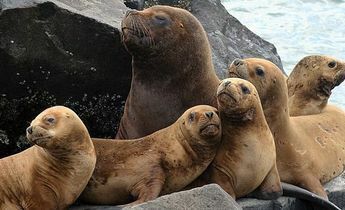 Now, migrations that were once temporary and local are becoming permanent and intercontinental. The author’s travel to Senegal to report this article was supported by Wetlands International. This article was originally published on Yale360 and is reprinted here with permission. Fred Pearce is an author and journalist based in the UK. He is a contributing writer for Yale Environment 360 and is the author of numerous books, including The Climate Files and The Land Grabbers. His next book Water Lands will be published in 2020.